I realize this is the least festive thing you could lay your eyes on right now, but hear me out. If you’re like me then at some point during the holiday season you’re going to be aching for something that’s not coated in sugar, sprinkles, or sauce. 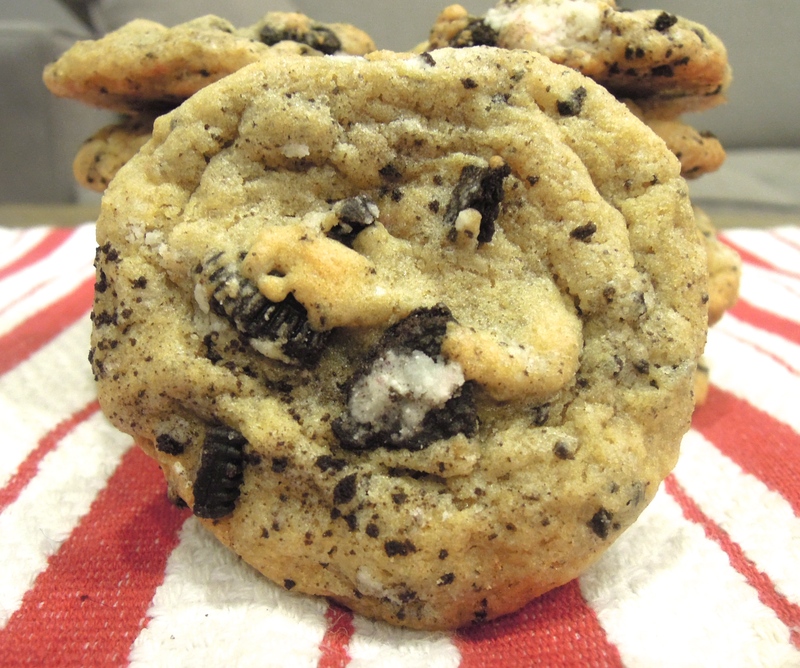 And if you could somehow fit some kale and omega-3’s in there, well, it would be a Christmas miracle. I hear you. So that’s exactly what you see here. 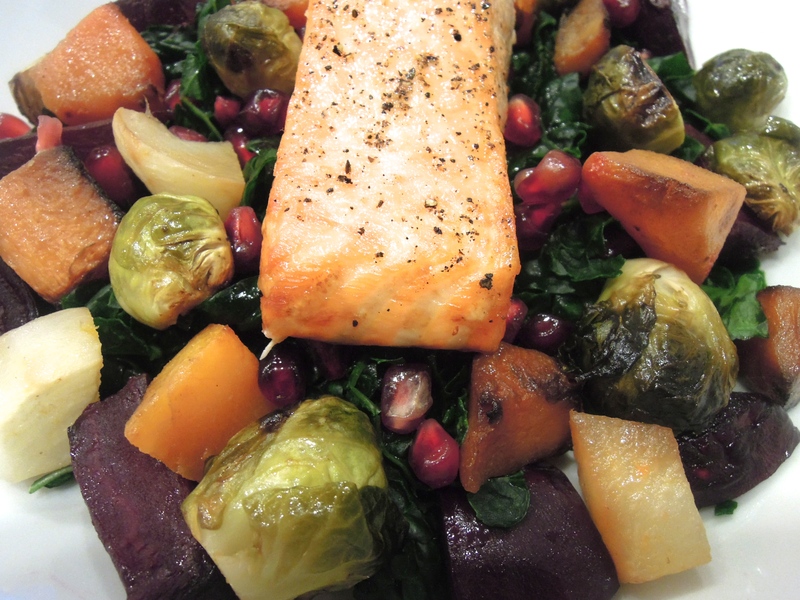 Wintery roasted veggies–brussels sprouts, beets, butternut squash, and turnips–with a healthy filet of roasted salmon all served atop raw kale with a citrusy vinaigrette. And don’t forget about the pomegranate seeds! There are a lot of different components with this meal, but you can essentially stick the veggies in the oven and forget about them for a little while. And if you want to take an even simpler approach, grab a package of pre-cut butternut squash from Trader Joe’s so you don’t have to deal with peeling, slicing, and dicing one of those buggers. So while this plate of health may look a little insane at the moment, I promise that at some point over the next few weeks you’ll be begging for some good clean food. When that time comes, I’ll be right here. Until then, let’s savor every cookie and every moment we get to spend with the people who matter most to us. Separately, place beet pieces in the center of a piece of aluminum foil. Drizzle with olive oil. Mix with your hands and fold the edges of the foil together to form a small packet. Place on a separate baking sheet. Place both baking sheets in the oven and cook about 40-50 minutes until everything is cooked through and starts to brown. When vegetables are almost ready, prepare the salmon. Drizzle with olive oil and season with some salt and pepper. Once vegetables come out of the oven increase the heat to 450 degrees. 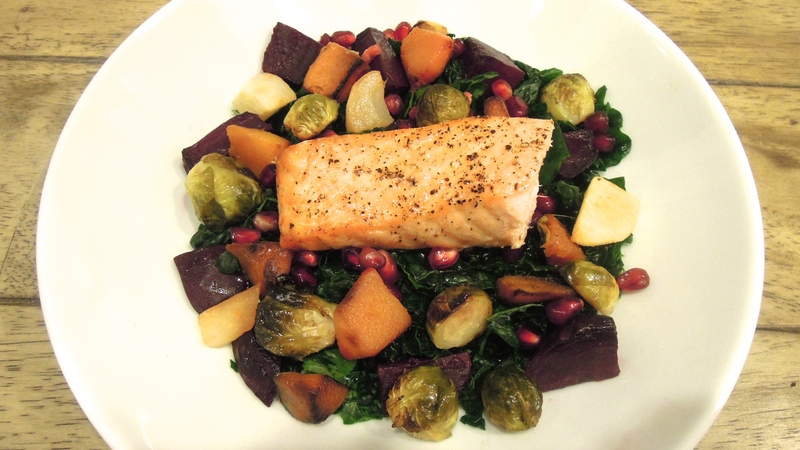 Remove the package of beets from the baking sheet and place salmon on the baking sheet. Roast salmon, skin side down, in the oven 12-15 minutes until cooked through. Whisk salad dressing ingredients together in a small bowl. To prepare the salad: Place kale at the bottom of a big bowl. Massage leaves with your hands until they start to soften, about 2 minutes. Top kale with roasted vegetables. Garnish with pomegranate seeds. Add as much salad dressing as desired (you might not use it all) and toss until evenly coated. Divide salad ingredients into two bowls. Top each with salmon filet. Add additional salad dressing if you like. 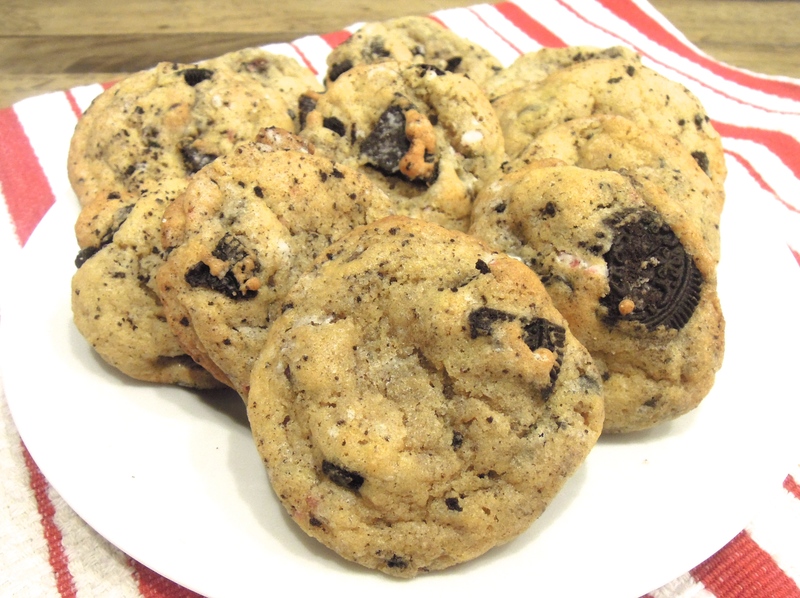 This entry was posted in Fish, Salad, Vegetables on December 22, 2013 by Paige Greenfield. Our Home: New Kitchen Backsplash! It’s no secret that the kitchen is my favorite place in our home. 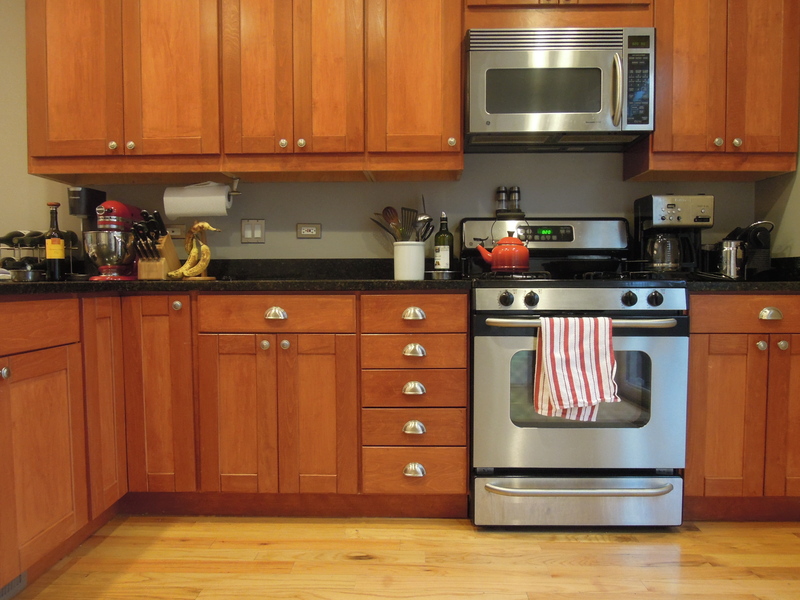 When we first looked at our townhouse (reminder: it was the only property we saw during our very brief house hunt) I didn’t need to look much further once I laid my eyes on the wide open kitchen, plentiful counter space, and ample cabinet and pantry storage. I knew it would do the trick. For the past five months (has it really been five months already?) it certainly has. 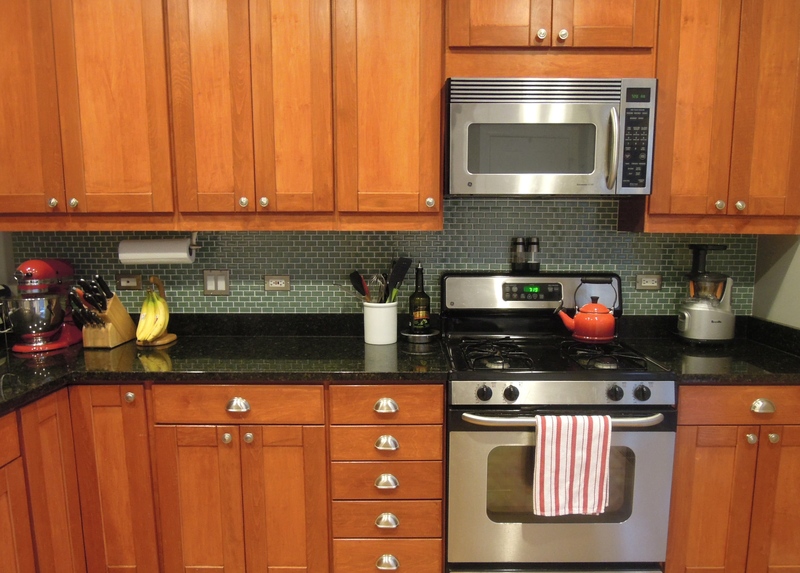 Although the kitchen is entirely functional, we knew we wanted to make some improvements for it to appear more finished. 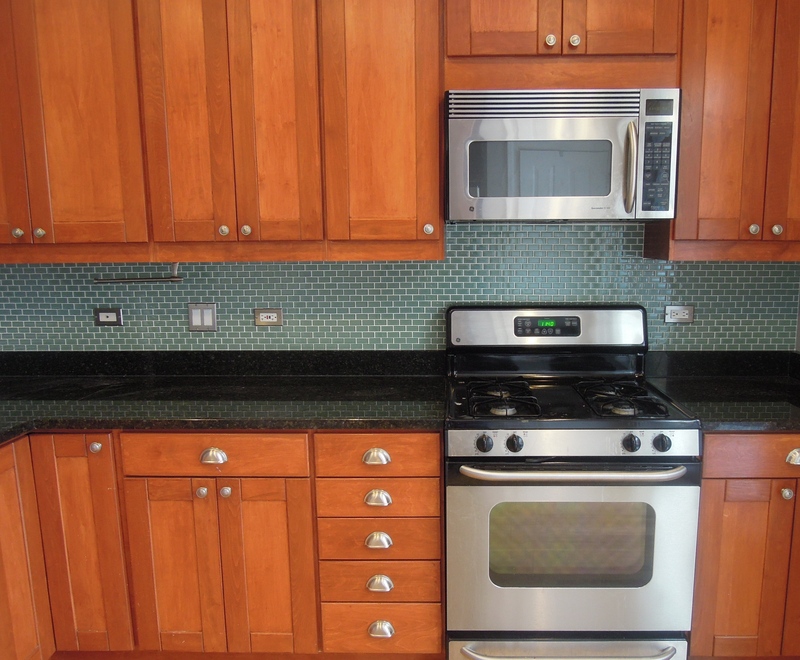 To be perfectly honest, we really, really, really wanted to paint the cabinets white. But after several contractors (and my dad) warned us against it we decided to nix that plan and keep them as is. 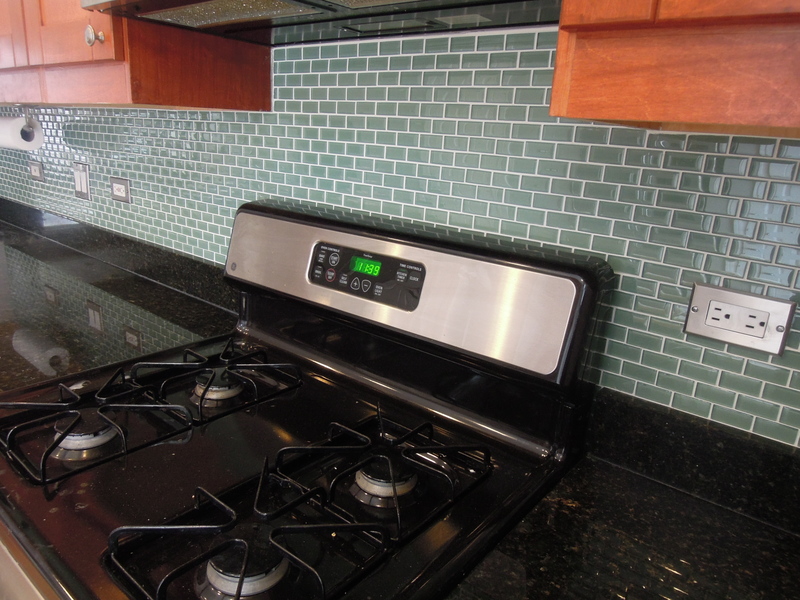 Once we scratched that off our list, installing a backsplash became priority numero uno. Before we dove into the project we made a very big decision. We enlisted the help of a wonderful interior designer, Jana Bek, to help us with several spaces throughout our home. Fancy shmancy, I know. Robert and I have both accepted that interior design isn’t our greatest talent. It is, however, important to us to live in a bright, cozy, and welcoming space. I stumbled upon Jana’s work through a link to a Pottery Barn blog post on Instagram (hello living in the 21st century!) and loved what I saw: Bright, airy spaces with a blend of neutrals and pops of color that felt completely comfortable and livable. Jana does e-design, which means she doesn’t come to our home (though you’re always welcome here, Jana!). We work through photos, FaceTime, and Pinterest (don’t you love living in the future?) Working with our tastes, preferences, and budget she creates storyboards that reflect what each space will look like. We make tweaks back-and-forth along the way and then carry it out! 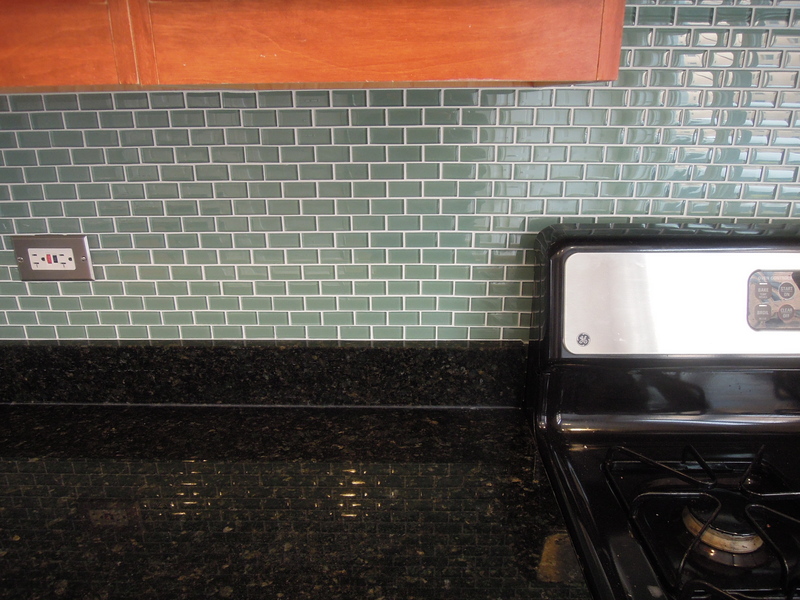 For the backsplash, Jana sent us links to a few tile suggestions. 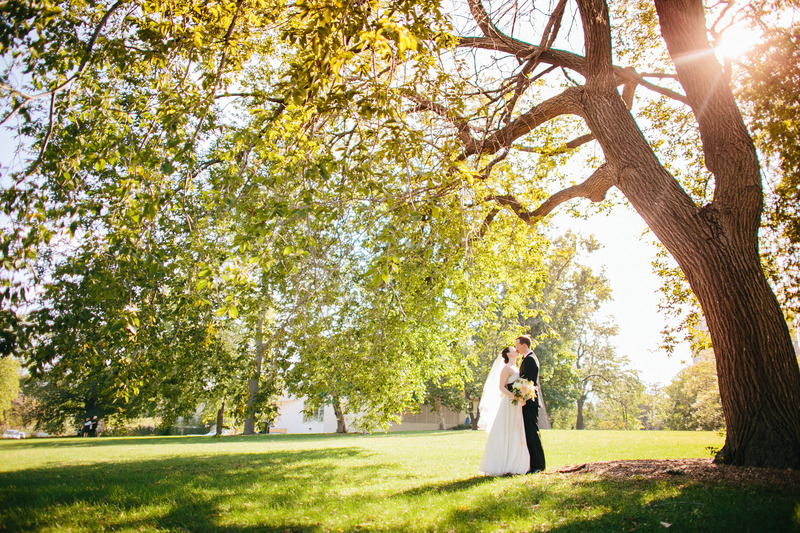 The one Robert and I chose is something we would have never found on our own and we couldn’t be happier with how it turned out. It’s bright, clean, and cheery and looks like it’s always been there. 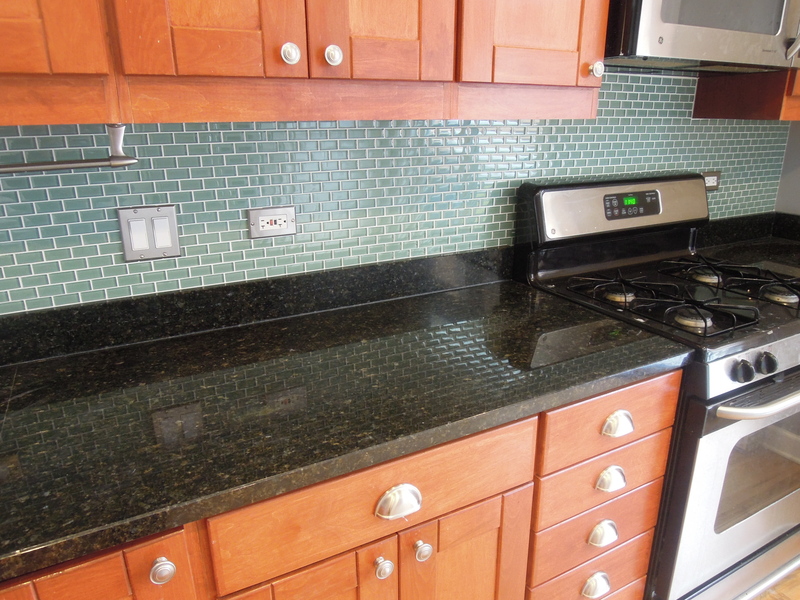 I think it even makes the maple cabinets and black granite countertops look a little happier, too! Swoon. Huge improvement, wouldn’t you say? The next task is finding a kitchen rug to cozy-up the space even more. Early next year we’re having most rooms in our house painted so we’re (hopefully) deciding on paint colors soon. Stay tuned for more adventures in creating this space we love to call home. 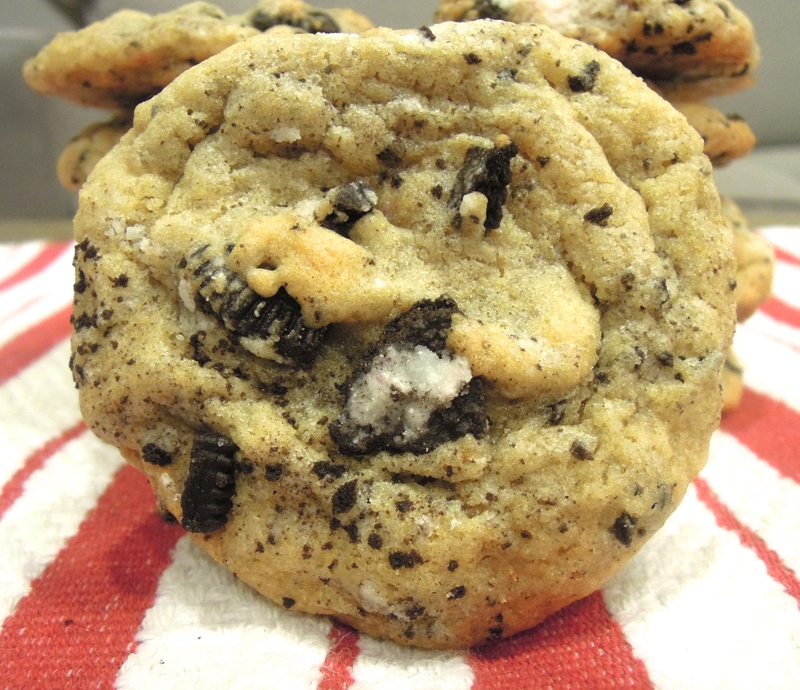 This entry was posted in Our Home on December 18, 2013 by Paige Greenfield. If you’re like me then you sat down to your Thanksgiving feast, dove into the cranberry sauce and asked yourself, “Why on earth do we eat this goodness just one day a year?” Well, you don’t have to! 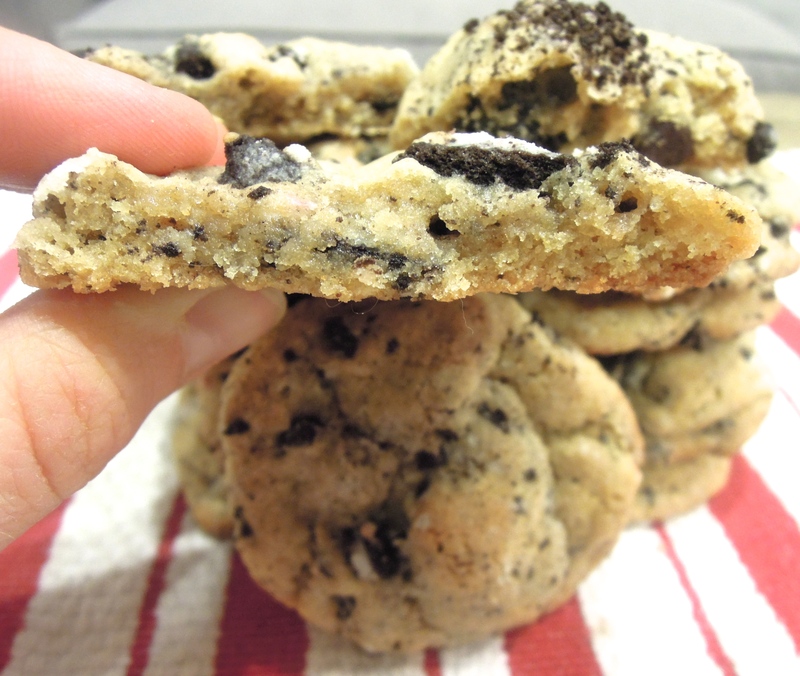 Especially with this delicious variation I made that works with practically anything. Roast turkey? Sure does. But also: baked chicken, fish, roast pork, and definitely by the spoonful. It’s the ultimate (healthy) sweet to complement your savory. I’m a huge fan of salsas all summer long like pineapple and peach, and this cranberry orange salsa is their wintertime counterpart. (Clearly I love the cranberry orange combo.) 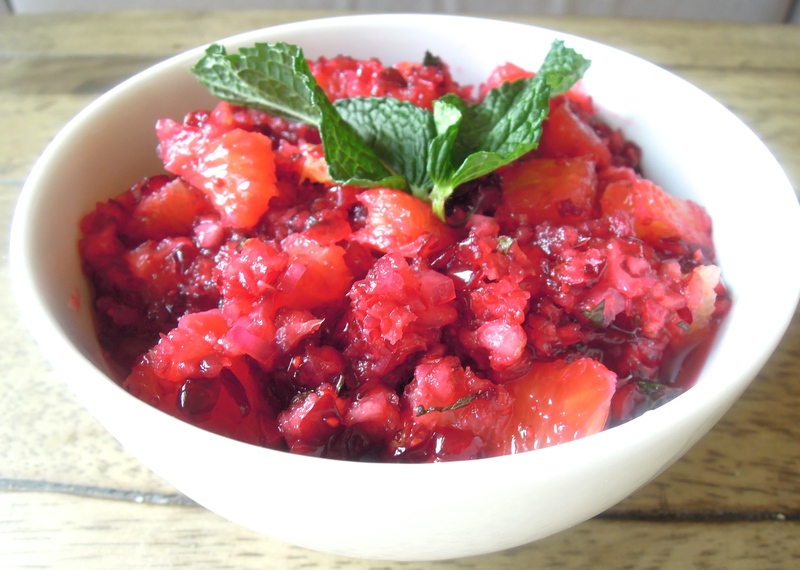 There are just a few ingredients: pulverized cranberries, orange zest and chopped segments, a tiny bit of red onion, and fresh mint. Yum. Whether you’re prepping menus for the next flood of holidays (hello Christmas and New Years…I can’t believe they’re almost here) or are looking for something to brighten up a wintery weekday evening this salsa aims to please. Pulse cranberries in food processor or blender (I used the Vitamix) until coarsely chopped. Transfer to a bowl. Zest 1 orange directly into bowl. Peel all 3 oranges so there’s no white pith. Using a sharp knife, cut between membranes and chop orange segments into small pieces. Add to cranberries. Add sugar, red onion, and mint. Stir to combine. 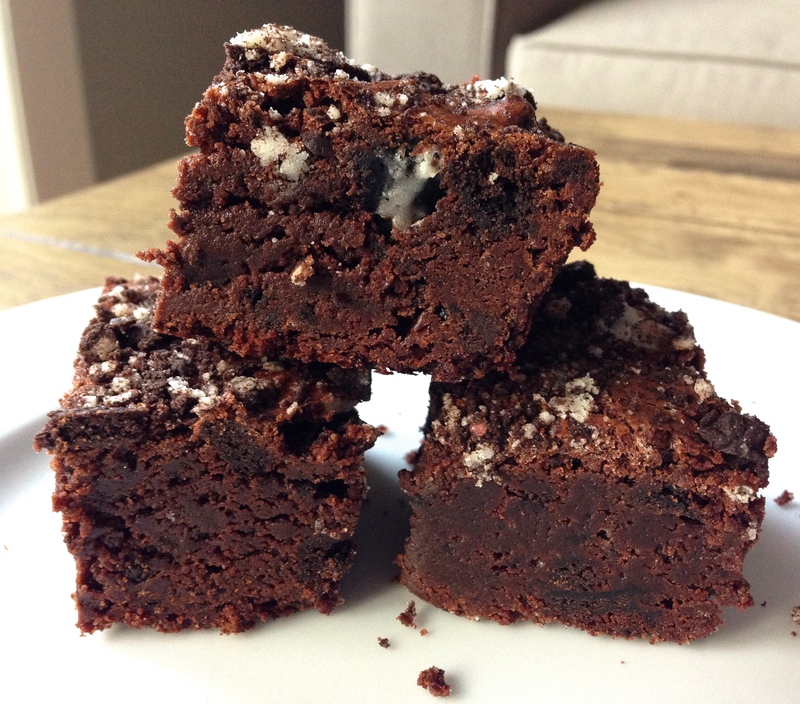 Taste and make any adjustments such as adding more mint, if desired. This entry was posted in Salad, Sides on December 11, 2013 by Paige Greenfield. Well, here we are. The Monday after Thanksgiving. Cyber Monday for those who plan on doing a little holiday shopping. I hope you all had a wonderful Thanksgiving. Our long weekend was everything I hoped for and more: Lots of cooking, eating, and relaxing. Our Thanksgiving for three was a total success, 12 pound bird and all. I loved cooking the whole meal and now I’m ready to host Thanksgiving for 20. Who’s coming next year? So let’s talk chili. 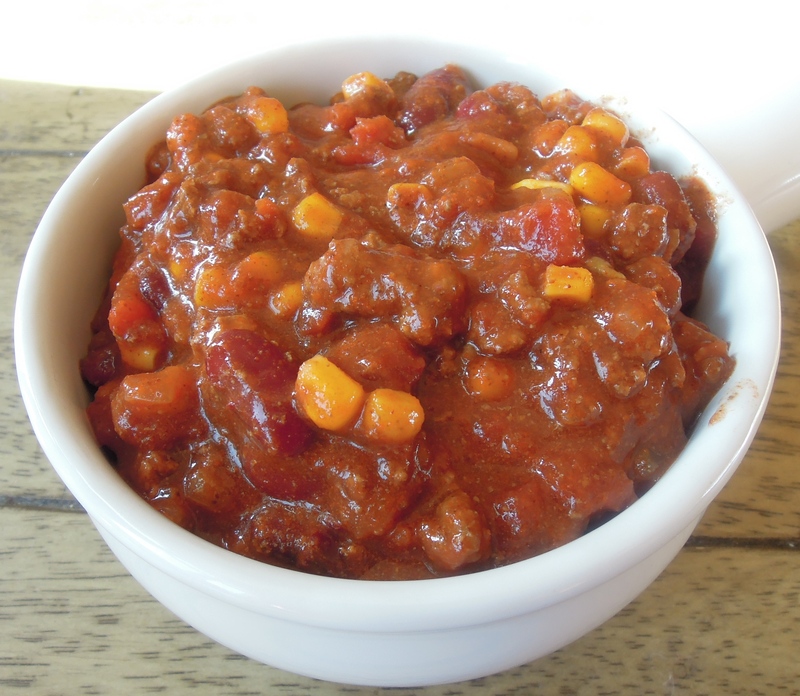 If you’ve had your fill of turkey for a while (I know we have) this chili offers the ideal diversion and then some. I don’t know what’s taken me so long to make beef chili in the slow cooker, but it won’t be long before I make this exact recipe again. Even Robert, who’s the most chili obsessed person I know (one time at a diner he ordered a chili cheeseburger and a bowl of chili IN THE SUMMER) declared it top 5 meals of all time. High praise indeed. The secret ingredient, cloves, comes courtesy of the chili his mom makes, which I finally got to taste last time we were in Kansas. Just trust me on this. A mere 1/4 tsp of ground cloves makes all of the flavors pop and provides a special type of heat. Not a spicy heat, but a warming heat. 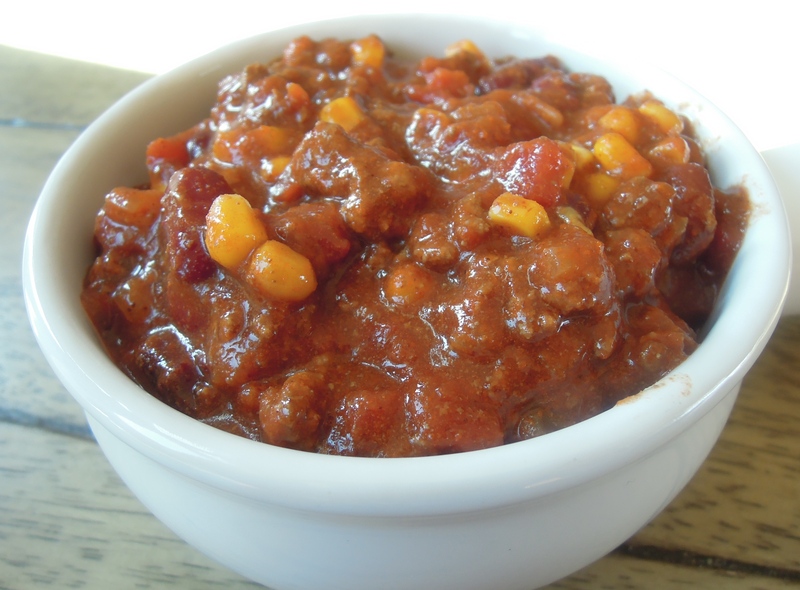 I’m so thrilled to finally have a go-to beef chili recipe and I hope you love it as much as we do. In a skillet, heat about 1 Tbsp olive oil over medium-high heat. Add onion and cook until it begins to soften, about 5-8 minutes. Add garlic cook until fragrant, 30-60 seconds. Add ground beef. Cook, stirring occasionally, until beef starts to brown. Add chili powder, cumin, and cloves. Mix until everything is coated. To the slow cooker add browned beef mixture, kidney beans, and tomato sauce, and diced tomatoes. Cook on low 6-8 hours. Taste and add salt and pepper if needed. Add frozen corn and cook on low for 5-10 minutes until thawed and heated through. 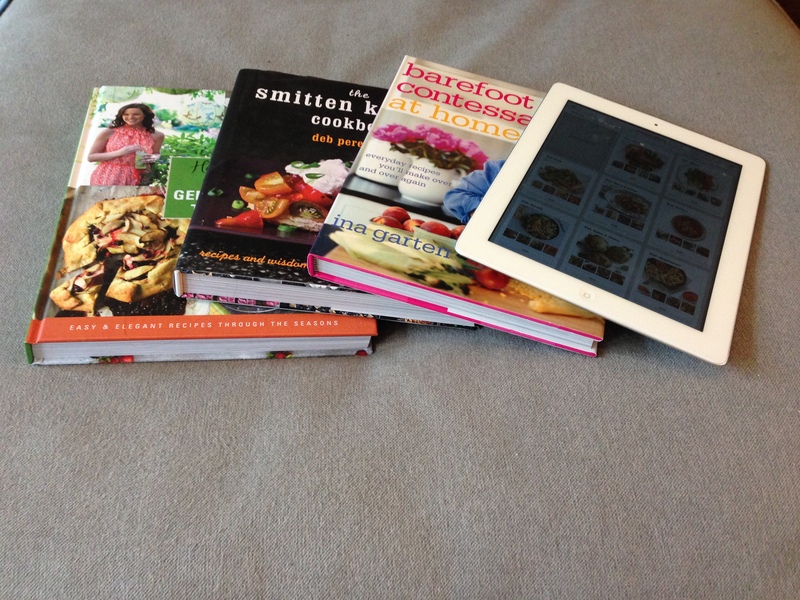 This entry was posted in Meat, Slow Cooker on December 2, 2013 by Paige Greenfield.